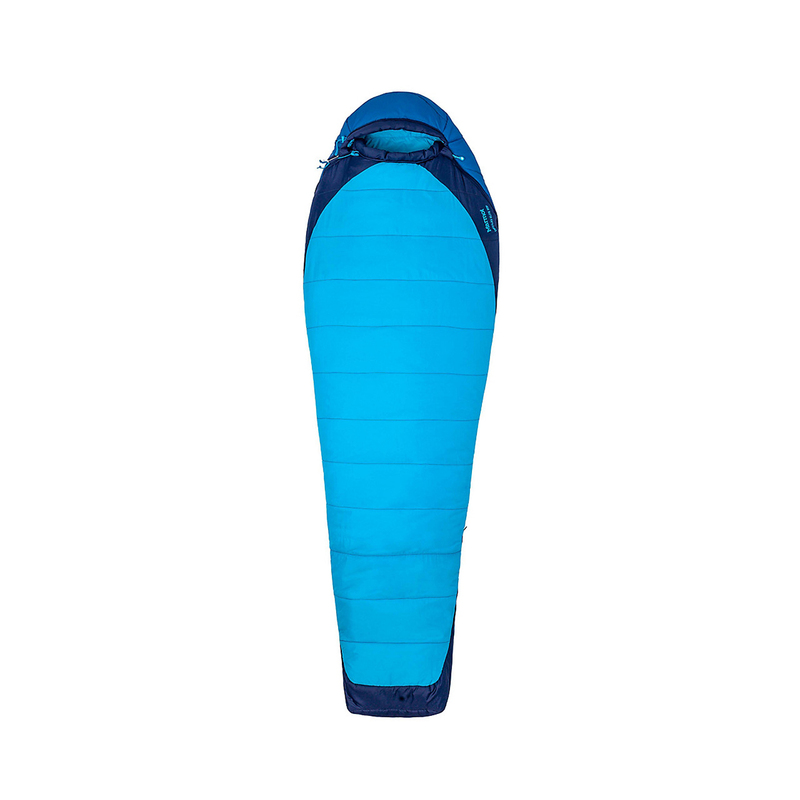 The Marmot Trestles Elite 20 is a three-season sleeping bag with a light weight that make sit ideal for backpacking and hiking. 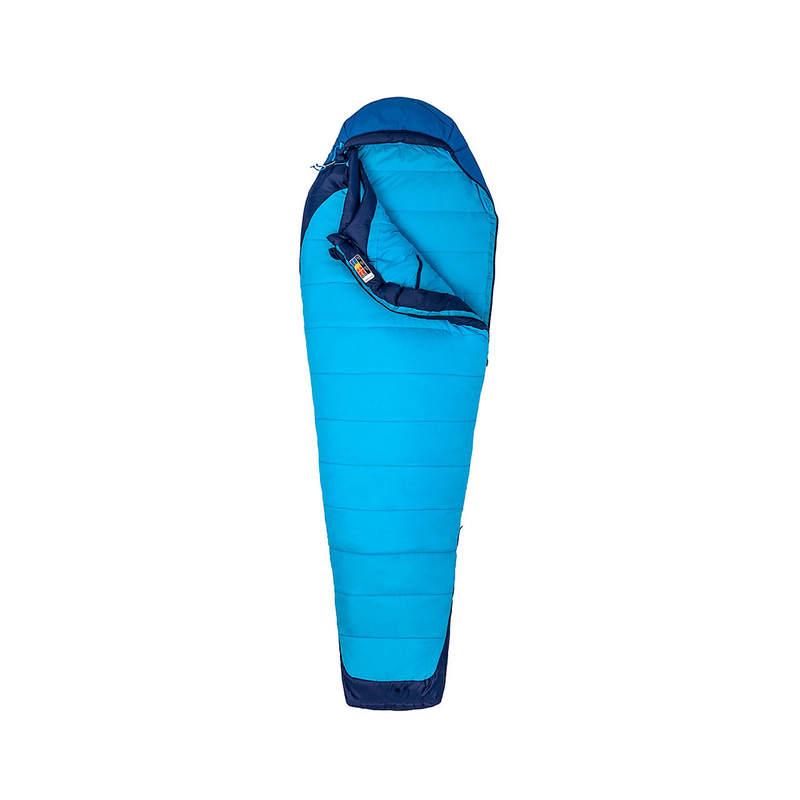 The synthetic HL-ElixR insulation provides warmth when wet, making it an ideal choice for anyone who expects their sleeping bag to get damp in their pack due to storms. 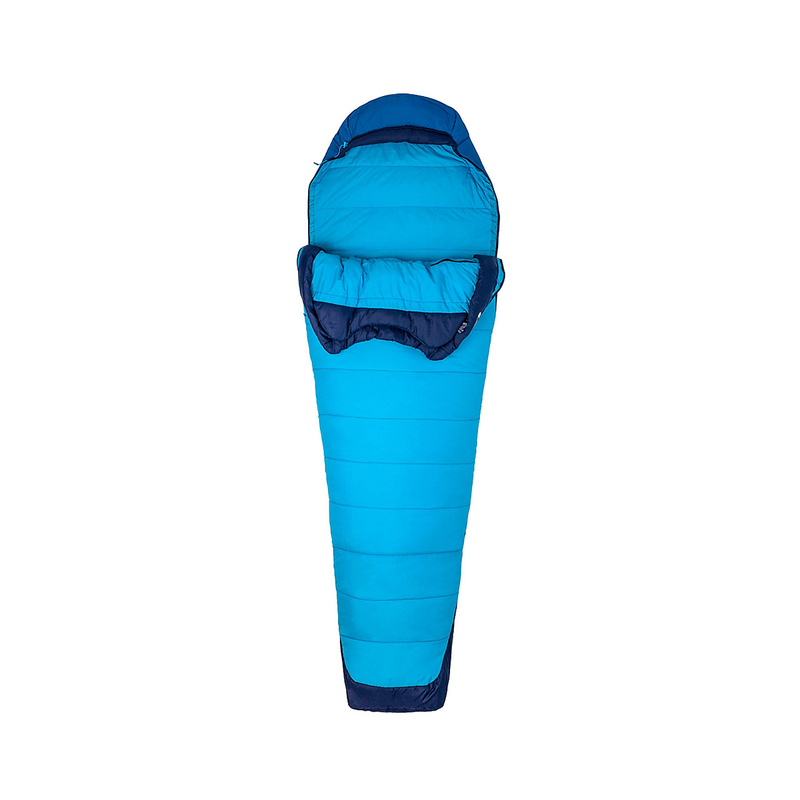 Features include a full-length zipper with an anti-snag slider and an anatomical footbox to increase insulation.